The Log page performs a similar function to the Versions screen in that it displays information that is useful in the event of a problem. 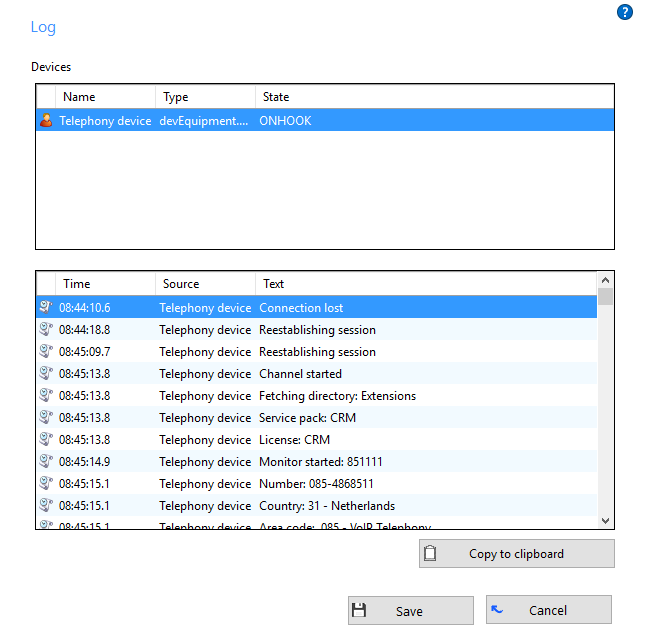 The Devices list shows the devices that are being used; this could include hardware and any apps that you have integrated with Go Integrator. The panel below shows the Log entries. The log keeps a record of what Go Integrator attempts to do and whether it was successful or not. This information can be very useful when troubleshooting an issue; click the Copy to clipboard button and paste the info into a document.